Portugal is the ideal holiday destination. Its capital Lisbon is now served by a range of airlines from across Europe making it easier than ever to visit this Atlantic Coast gem. Lisbon is the perfect choice for those who like to combine the experience of a city-break with that of a sunshine-filled holiday. 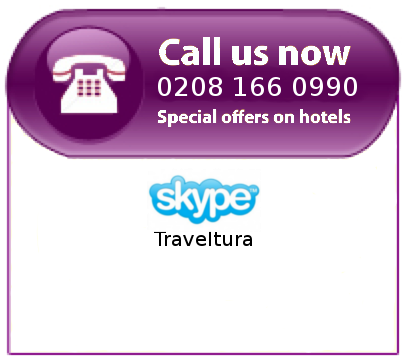 This enchanting city offers a great range of hotels including many fantastic budget options. Choose between a view of the Atlantic Ocean or a view of the superb hills on which Lisbon is built - from cheap to luxury hotels Gift-Tours can provide you with a hotel that caters for all your holiday needs! 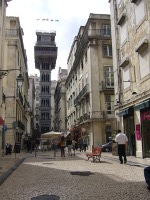 Lisbon is a relatively small city with just over two millions inhabitants. Portuguese culture is very old and so Lisbon's inhabitants come from all over the world. The Portuguese language is the 6th most spoken language in the world and it is estimated that more than two hundred million people across the world speak Portuguese. 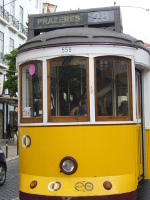 Take the 28 tram from Praça da Figueira to get a unique view of the hills of Lisbon. Alternatively travel in one of the historic funiculars and enjoy the breathtaking sights of this unique city. These funiculars include Gloria Funicular, Bica Funicular and Lava Funicular and together with bus, metro and boat services provide a wide network of transportation across the city. The transportation network facilitates easy travel to and from the airport and there is also a range of public transports options to take you anywhere in Portugal. Travelling by train however is by far the fastest option. Fado is the traditional music of Portugal and is a must-do for any culture enthusiast or even for those who are simply curious as to Portugal's rich heritage. Mariza is currently one of the most popular Fado singers. For party-goers Lisbon has amazing nightlife. Start your night in Bairro Alto in one of the many restaurants before venturing further in the heart of Lisbon where you can party until the early hours. For those looking for a more relaxing evening visit the beautiful New Lisbon which is located close to the River Tagus. This area was built for the World Expo '98 and here you will find many modern architectural delights, one of the most prominent of which is the infamous Casino Lisboa. The casino facilitates a whole host of entertainment options including shows, restaurants, bars, over 700 slot machines and much much more! Popular cities and towns around Portugal include Cascais, Sintra, Cabo da Roca and Sesimbra - all of which are in easy reach of Lisbon. Should you prefer to spend the day relaxing by the beach there are many beaches that stretch along the magnificant coastline, one of the most famous being Pria de Adraga. Whatever your prefered location there is a hotel to suit your needs, check out these fabulous hotels in Sintra, Cascais, Estoril Coast, and many many more around Portugal. Football is one of the great Portuguese passions and Portugal is the proud home of many footballing legends such as Christiano Ronaldo. Portugal hosted the European Championships in 2004 and as a result Lisbon has many modern football stadiums. You can purchase tickets easily in many locations across the city and you'll also find many fabulous hotels located near these stadiums. Lisbon is a truly unique city so if you're looking for something different book your hotel with Gift-Tours now! ???????? ????? ?????? ??????? ?9????? ??????? ?????? ?????? : ???????_??????? >> lv??? >> ??????? >> ?????? 2012?11?08? 16:49 ??:??? ?????10??? ?????? ????? ??????????????88????? ???? : ?? ?? ?? ?? ?? ?? ?? ?? ?? ?? www.7009.com | ???? | ?????? | ag???? | ???? | ??????? | ?????? | e????? ?| ????????? Copyright © 2007-2015 www.dlaserv.com All Right Reserved. ????-???? ??????? ???? ?????? ??365??? ???? ???? ????? ?????? ???? ag??? www.8456.com uedbet?? ?????? ???? ????? ??? ?